Do you want more out of your workouts? Add these exercises into your workout routine to maximize your efforts. Why are these three exercises so important? Each exercise engages more than one muscle group burning more calories. The exercises can be done anywhere- No equipment required! They elevate your heart rate adding a cardiovascular component. Your core muscles (abs, obliques, etc.) are activated during the exercises. Each one improves your balance and stability. They can be modified- easier or hard. From a standing position squat to a tuck and place your hands on the floor. Jump back with both feet so they are fully extended, your back is straight, and your hands are below your shoulders. Push off your feet and return to a tuck position. Jump into the air swinging your arms upward. Land on the balls of your feet; then repeat! Easier- Step feet backward instead of jumping; Stand up and put your hands up instead of jumping. Harder- Do a push-up when your legs are extended; Do a tuck jump bringing your knees to your chest. Start in up push-up position with your hands under your shoulders, back flat, and legs extended. Twist your right knee under your body past your opposite armpit. Bring your right leg back under your body and fully extend it returning to your starting position. Easier- Touch your foot to the ground when your knee is brought to your chest; Go slower. Harder- Perform the twist faster; Add a push-up in between each rep.
From a standing position step forward with your right foot. Step up and repeat with your left leg. 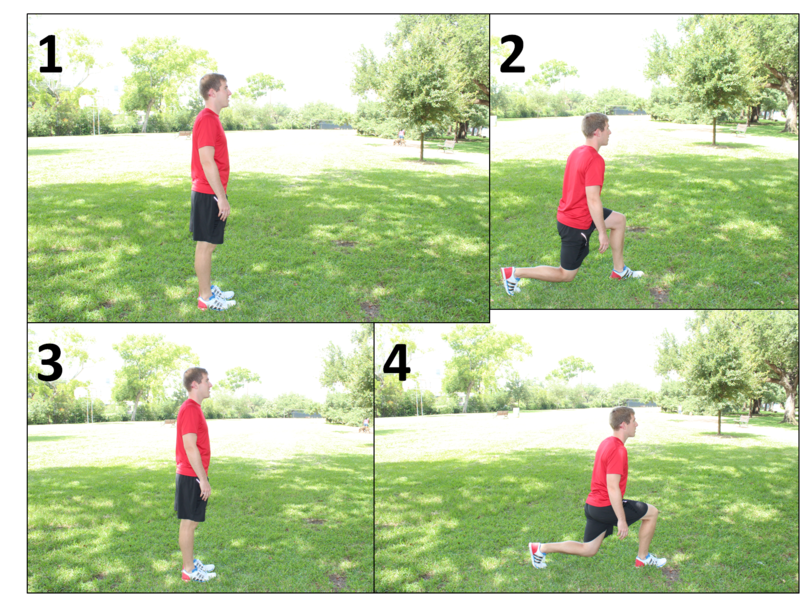 Easier- Return to standing in between steps (See picture 3); Hold on to a wall or chair as you lunge. Harder- Carry weights in each hand as you lunge; During the lunge portion perform a bicep curl; Cut out picture 3 and go from one lunge to the other. I hope you are able to incorporate these exercises into your workouts. If you need a workout routine look for my Exercises 4 Today (#E4T) on Twitter or my Sunday Circuits on Facebook. You know these three moves will be involved! Feedback Time: What do you want to see more of on Jon Kidwell | Finding Fit? 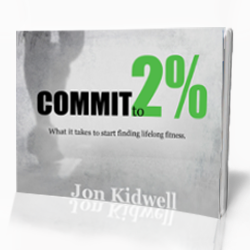 Have Jon Kidwell | Finding Fit delivered to your inbox every Monday and Thursday by subscribing on the right side of the screen.